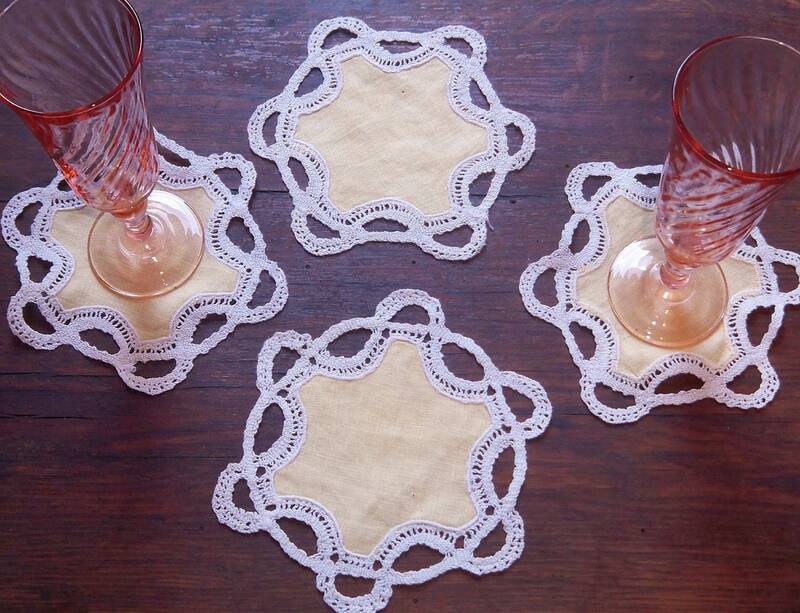 4 Lovely Antique French Coasters. 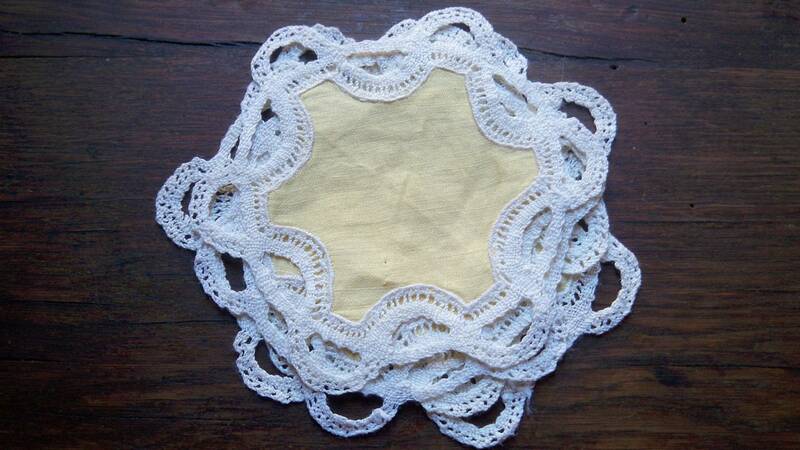 Made of Pastel Yellow linen and white lace trimmed. Unusual star shape. 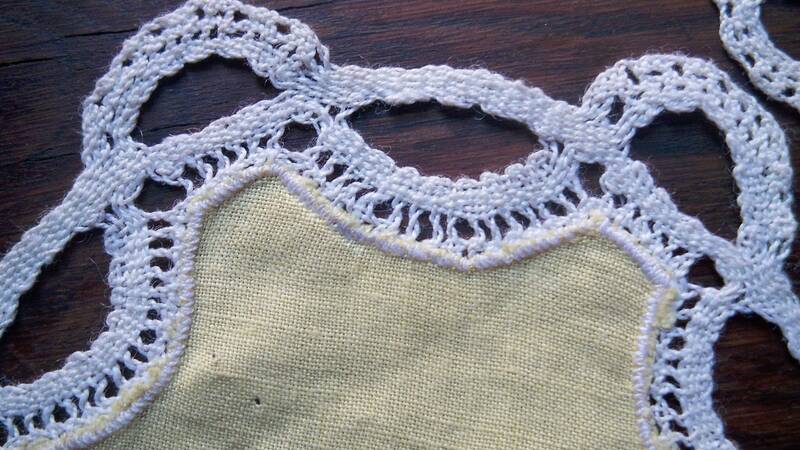 The yellow linen color is quite unique ! 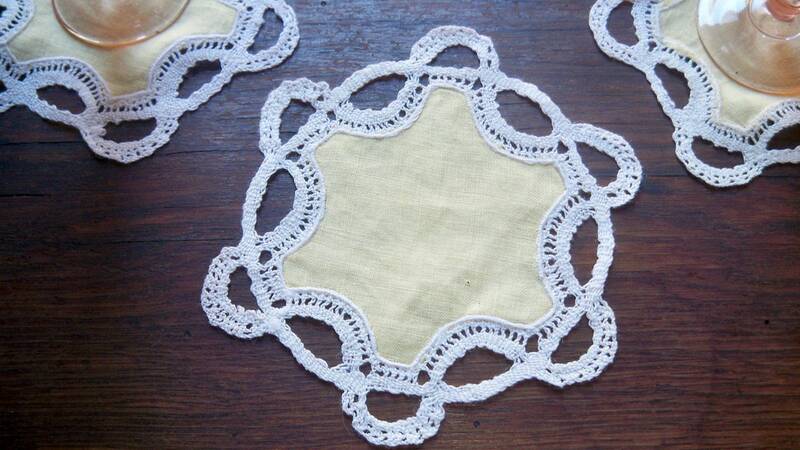 Each one is a real lovely doily or coaster . Beautiful work with this charming touch from the past. Size : 6 X 6 in. 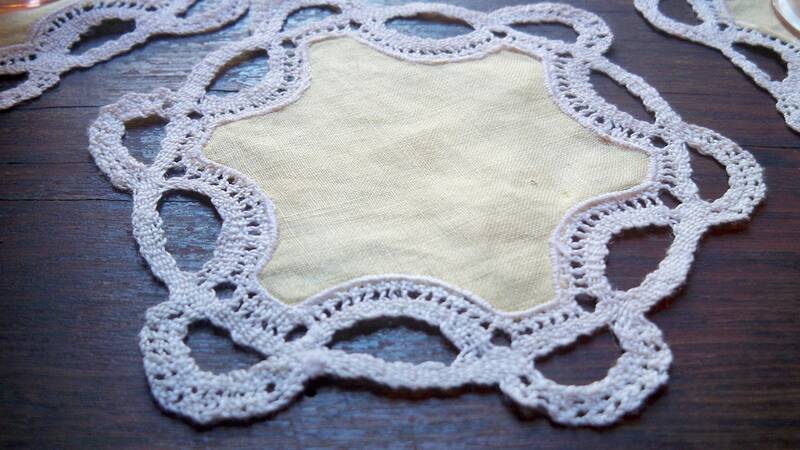 including the lace . Beautiful to serve snacks and cocktails !